Built-in Matlab functions can often be profiled and optimized for improved run-time performance. This article shows a typical example. 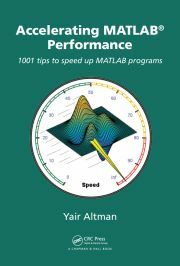 Accelerating MATLAB Performance (ISBN 9781482211290) is a book dedicated to improving Matlab performance (speed). Matlab’s Image Processing Toolbox’s impoint function contains an annoying bug that can be fixed using some undocumented properties.